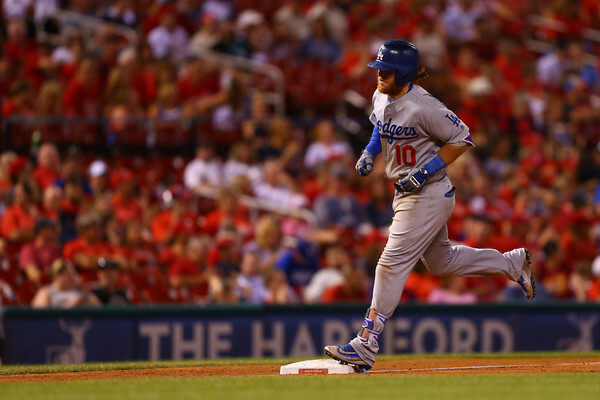 Game 100: Dodgers close the gap on San Francisco by beating Cardinals. The Dodgers jumped all over St. Louis Cardinals starter Mike Mayers early in his major league debut, then hung on for a 9-6 victory. The box score is here. Through 100 games, the Dodgers are 56-44, identical to their record through 100 games last year. Only four teams have taxed their bullpen with more innings this season than the Dodgers. Game 99: As temperatures rise in St. Louis, Dodgers rise to the occasion. Kenta Maeda and Andrew Toles beat the heat, and helped the Dodgers beat the St. Louis Cardinals 7-2. The box score is here. Dodgers pitching coach Rick Honeycutt is working with Kenley Jansen on his mechanics after the closer’s recent bout of blown saves. From stories to a high school yearbook, Mark Langill’s collection of Vin Scully treasures is impressive. 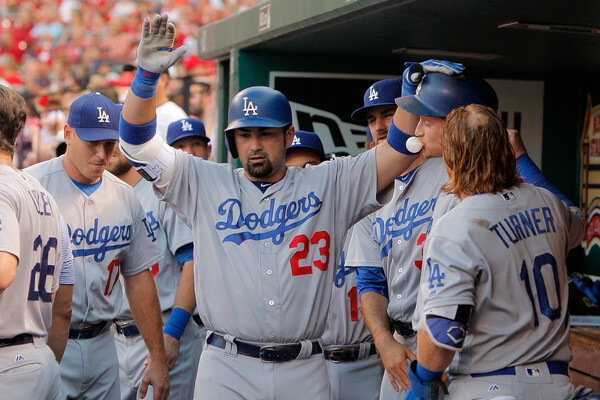 Game 98: St. Louis takes two days to win its longest game ever against the Dodgers. 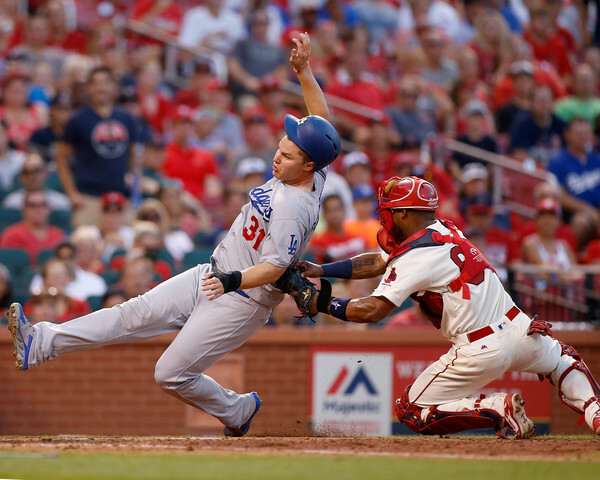 The Dodgers and Cardinals played the longest game ever in a rivalry that spans three centuries, with St. Louis winning 4-3 in 16 innings on Matt Adams‘ home run. The box score is here. Julio Urias will get a few days off, then pitch out of the bullpen at Triple-A Oklahoma City. Dodgers recall Austin Barnes, option Julio Urias to Triple-A Oklahoma City. The Dodgers optioned Julio Urias to Triple-A Oklahoma City on Friday and recalled catcher/infielder Austin Barnes. Barnes is with the team for tonight’s game in St. Louis against the Cardinals. Urias allowed one run in four innings yesterday against the Washington Nationals, and did not factor into the decision in the Dodgers’ 6-3 win. He’s 1-2 with a 4.69 earned run average in nine major league starts this year. By rule, the Dodgers aren’t allowed to recall Urias from the minor leagues unless another player is injured. Since the team has placed 22 different players on the disabled list — already matching the most by any National League team in the last 30 years — Urias might well be back soon. 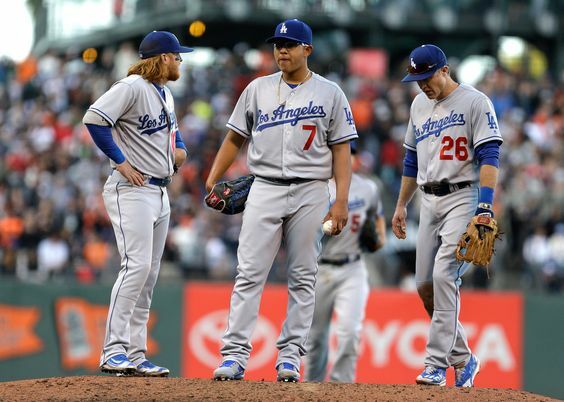 But the Dodgers were attempting to limit Urias’ innings by working him out of the Oklahoma City bullpen when he was summoned for his spot start Thursday. A return to the Triple-A bullpen is likely next. The Dodgers’ game against the St. Louis Cardinals on July 24 will be broadcast by ESPN’s Sunday Night Baseball. That means the game will begin at 5 p.m. local time, not 11:15 a.m. as previously announced.